Lot’s of people want a simple easy option on landing in Marrakech. Whether you are a business traveler catching a connecting flight, a family traveling with children who don’t want the inconvenience of changing trains or buses, traveling with more luggage than you can carry or you are simply an individual who would like a stress free start to your holiday or business trip? Whatever the motivation, Marrakech Aiport Transfers can provide you with a great private transfer service direct to your destination. You can select your transfer start and end point, get a price and pay online, all with instant confirmation. No need to worry about new currencies or over charges, you never pay our drivers cash because you’ve already paid! It’s a great way to start any visit in a new country. The journey from airport to hotel or port to hotel can often be a time consuming stressful experience… Pre book your private airport or port transfer online, at a very competitive rate, and start to enjoy your visit from the moment you arrive. Let them transfer you to your destination in comfort and style and save on the time spent haggling as well – this time! 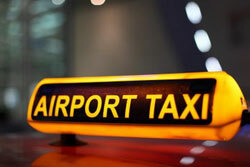 You’ve booked your hotel, you’ve read our travel articles, now book your transfer online today!! About Us | Links | Contact us | Log in | Entries (RSS) | Comments (RSS) 53 queries. 0.573 seconds.